The mystery and anguish over the fate of Ara San Juan came to an end. The cost of a rescue operation would be extremely high. For the relatives, the submarine had “evident failures”. Note from the BBC. The Argentine Navy announced on Friday night that a US company found in the depths of the Atlantic Ocean the submarine that disappeared a year and a day earlier, with 44 people on board. The finding was a dose of relief and resignation for family members, but also posed the question of when and how to get the submarine afloat, or if it will be possible? The defence minister of Argentina, Óscar Aguad, acknowledged that the country does not have the means to return the Ara San Juan to the surface. “We do not have the equipment to extract a vessel of these characteristics,” he said. For his part, the Chief of Staff of the Navy, José Villán, called for prudence and considered that he could not “neither affirm nor deny” that the remains are going to be extracted. “We have to wait for a court order to know how we should proceed and, then, to analyze if it is possible, in technical terms, to take the submarine from the bottom of the sea,” he said. But why would it be so difficult to get the submarine afloat once it has been located? Claudio Iovanovich, a specialist in naval machines and maritime law, explains to BBC Mundo that one of the factors to take into account is the place where the submarine finally ended up. According to the data of the Navy, the Ara San Juan was found at 907 meters of depth, more than 400 meters below the critical limit for a manned submersible ship. “At that depth, the pressure is terrible, more than 90 kg of pressure per square centimetre, so the recovery would have to be done with very specialized robots and equipment since no manned spacecraft can go down there,” he explains. Also, exrescatista of the Naval Prefecture Argentina adds that the country does not count on that equipment, the reason why it would have to rent them to foreign companies. Another element to take into account, he points out, are the climatic conditions in the area, which also affected the location tasks on several occasions. However, Robert Farley, an expert on submarines at the University of Kentucky, says that in the past, sunken submersibles have been taken deeper. “The Soviet K-129 was recovered by the United States with a crane and a hook from a depth of around 5,000 meters, although the submarine broke while recovering,” he told BBC Mundo. According to the specialist, there are also sunken treasures that have been recovered from deeper chasms in the sea. According to Iovanovich, there are elements that complicate the rescue of the submersible beyond the depth to which it is located. “The rescue of these ships is very complex because depending on the type of vessel, there is a different mode of water elevation. They are very complex operations that require not only a specific technology but a series of studies, equipment and techniques that carry preparation time, “he says. 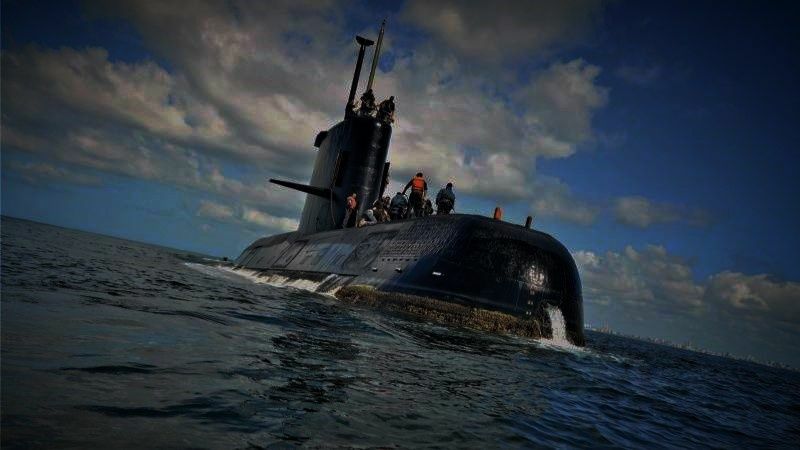 The Argentine expert comments that for an eventual recovery task (either with cranes, airbags or other elements), it is also necessary to know more details about the state of the submarine and if the water penetrated inside its compartments. The first images, not very clear, of Ocean Infinity, the American company that discovered it, show an area of debris of 100 by 80 meters on the seabed. “This suggests, lacking certainty, that could have imploded, collapsed, very close to the bottom,” Navy spokesman Enrique Balbi explained Saturday during a press conference. According to Farley, this “spreading” of the parts of the structure that Ara San Juan experienced is an element that could also make it difficult to get it afloat. “From what I’ve seen, the San Juan is already badly damaged and could break even further during the recovery, in any case, it would be an important technical challenge to recover the submarine as a whole and not extend the remains of the ship (and those of the crew) further away on the seabed, “he says. In the opinion of Iovanovich, some of the equipment necessary for the rescue can be produced or found in Argentina and others could be rented to companies dedicated to this type of tasks. However, the high price that would have to be paid for them puts the operation in a limbo. “It would be a barbaric amount of money, it would take a very long time and would involve a complex and very precise task,” the exrescator points out. The San Juan discovery was made after a contract in which the Argentine government promised to pay US $ 7.5 million to Ocean Infinity only in case they found the submarine. According to the BBC World correspondent in Argentina, Daniel Pardo, one of the great doubts now is whether the government of Mauricio Macri will be willing to pay more to get the Ara San Juan out of the Atlantic bed. “Are they going to pay more to get it out? In the middle of the crisis? When there are doubts that they pay the debt? After having asked the IMF for money?” Pardo asks. For the time being, in a televised message on Saturday night, Macri did not reveal any future steps. He limited himself to expressing his condolences to the relatives and declaring three days of mourning throughout Argentina.